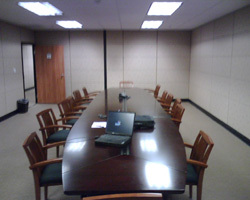 The TO&A business center in Scottsdale, Arizona is situated in a Premier Class A location in The Kierland Corporate Center. The business center is close to the 51 and the 101 loop making the center easily accessible. Kierland Commons and the Scottsdale Quarter offer exquisite shopping and an array of restaurants, both within walking distance of the center. Just a short drive away in Old Town Scottsdale you can find the world renowned art galleries and the PGA Champion Golf Courses. The business center has fantastic transport links.